Below are the special feature articles we have published in DAM News. Charles Russell and Ralph Windsor consider the issues that DAM users need to consider when assembling a business case to get funding for a DAM solution or wider DAM initiative. In the first part of this series, Ralph Windsor, Editor of DAM News, interviews David Diamond, author of The DAM Survival Guide, founder of the DAM Guru Program and former Marketing Director of DAM Vendor, Picturepark. In this instalment, Ralph Windsor asks David whether he thinks that the characterisation of vendors as being the ‘villains’ of the DAM world is fair and also whether the role of partners is increasing or declining. Jeffrey Marino presents an overview of the Insight Exchange Network DAM conference held in New York at the end of January 2019. The 2018 DAM Vendors Pricing survey is the only study of vendor pricing available in the Digital Asset Management industry. A sample of vendors provided pricing indications for five unique scenarios from graphics studio through to enterprise (along with a control ‘average’ system) and the results are collated and discussed with an analysis section as well as figures. This report is over 7,500 words and contains 35 charts and diagrams. Ralph Windsor assesses the DAM market in 2018 and discusses what the prevailing trends might mean for 2019. Ralph Windsor discusses the different professional services partner models used for DAM implementations, the risks of each and offers some advice on how to manage them. Ralph Windsor continues the feature article series on the attributes of effective DAM consultants by considering a consultant’s ability to work across the entire DAM initiative lifecycle. Ralph Windsor opens this feature article series on the attributes of effective DAM consultants by examining the role experience has to play. Ralph Windsor provides non-technical users with an overview of the issues surrounding APIs and how to decode some of the terminology that is used about them. Ralph Windsor considers potential solutions to the issues discussed in the preceding article about homogenisation of DAM technology and business risks to the DAM sector. This article is the second part of the series. Is The DAM Software Market Sleepwalking Into Becoming A Digital Sharecropping Business? Ralph Windsor discusses the homogenisation of DAM technology and the business risks from building on top of larger cloud technology platforms like Dropbox in the first of a two part article. Ralph Windsor examines some options for using digital asset supply chains in combination with AI to generate better automated metadata. Annella Mendoza examines the concepts of intrinsic and extrinsic value in digital assets and applies it to digital preservation. Spencer Harris reviews Bynder’s Orbit free Content DAM system. Ralph Windsor describes current issues with content-oriented DAM solutions and the impact that application delivery innovations might have on the DAM market. Annella Mendoza discusses the significance of metadata and why it is integral to the adoption of DAM solutions by users. Ralph Windsor continues this series of articles by discussing DAM interoperability and describing the foundation of a potential interoperability protocol as well as a method by which some progress could be made towards its development. Ralph Windsor follows up the first article in the ‘Finding Signs Of Life In DAM’ series with an analysis of how digital asset supply chains could be optimised to help solve the relevant metadata problem in DAM. Ralph Windsor, DAM News editor offers an opinion on why DAM is being described as ‘dead’ and discusses the role of digital asset supply chains and interoperability as potential sources of a solution. Tim Strehle of Digital Collections and Margaret Warren of ImageSnippets discuss the issues facing DAM interoperability initiatives and consider how these might be addressed. Medhat Mahmoud discusses how digital assets will increasingly touch everyone’s lives and the implications this has. Should DAM Be More Like Facebook? Denzil Ford of MediaValet proposes some ideas to allow DAM interfaces to achieve higher levels of user engagement by utilising principles from social media platforms. Martin Wilson of Asset Bank discusses why innovation has stalled in DAM and what thought-processes need to be employed to restart it again. Ricky Patten of DataBasics kicks off our Improving DAM In 2017 series with this article containing some recommendations for engaging with DAM vendors in a more effective and conscious manner. Why Do We Call DAM A “Library” For Digital Assets? Denzil Ford of MediaValet discusses the DAM as library analogy and observes that (as with libraries) there are more dimensions to DAM than just being stores of content. Martin Wilson of Asset Bank discusses the increasing role of Microservices and their relevance to Digital Asset Management. Ralph Windsor considers the reliability of AI technologies and discusses who has liability for them if they fail. Martin Wilson of Bright Interactive discusses issues with AI technologies in relation to Digital Asset Management and proposes some solutions to resolve them. Ralph Windsor concludes the second of this two part article series. Ralph Windsor examines the different meaning of the term ‘digital assets’ and considers the changing the value proposition of DAM. This is the first of a two-part article. Ralph Windsor describes how innovation might be restarted in DAM by re-examining the value generated from digital assets. What Does 2016 Hold For DAM? Hassan Kotob, CEO of North Plains asks if DAM’s ‘moment in the sun’ has arrived? Libby Maurer, product manager at Widen, considers the need for deeper analysis of asset usage in DAM using some example scenarios. Ralph Windsor discusses the role of document assets in DAM systems and some different methods for handling them. Deb Fanslow discusses the new Special Library Association DAM Section. Andreas Mockenhaupt, Director of Professional Services for Canto discusses the OASIS sponsored standard, CMIS4DAM. Ben Smidt collates responses to our “What’s Holding DAM Back series” published in February this year. The final part four of Deb Fanslow’s article series: Who Needs a DAM Librarian? Ralph Windsor discusses the role of AI techniques when applied to digital asset cataloguing and offers some best practice advice and recommendations. Ralph Windsor analyses consolidated DAM solutions and considers an alternative, service-oriented approach. Deborah Fanslow responds to David Diamond’s call for librarians to be more forthright about the benefits they can bring to DAM initiatives. Ralph Windsor assess the impact NetScout’s lawsuit against Gartner and considers methods that cost conscious DAM buyers can use to self-evaluate DAM products. Dan Huby of Montala discusses potential risks with external hosting and methods that can be applied to mitigate them. Neil Monahan of Brandworkz, discusses how to enhance the usability of your DAM system and therefore generate a higher ROI. Ralph Windsor examines the political and technical issues with DAM integration requirements and considers some methods of mitigating them. Ralph Windsor provides an alternative approach to evaluating DAM ROI which is more credible than many quantitative techniques which DAM ROI infographics are frequently based on. Ralph Windsor considers the DAM specialisation debate, including topics such as DAM platforms vs dedicated applications. 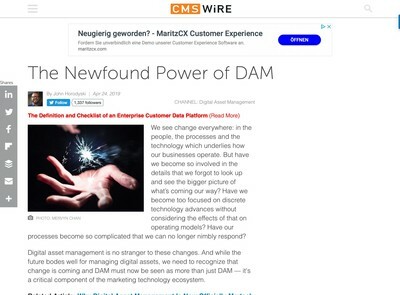 In the second part of this article, Ralph Windsor examines how DAM systems currently get used to distribute assets to Social Media platforms and how a value chain model might change that. Ralph Windsor assesses the role of Social Media and how it relates to DAM and the DAM Value Chain. A feature article by Ralph Windsor that first appeared on DAM Coalition about scaling up DAM implementations. 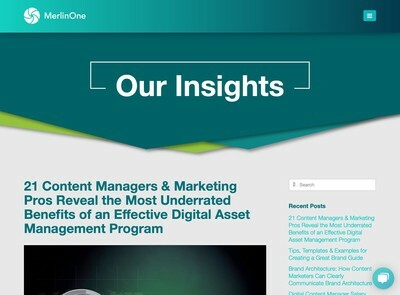 Brandworkz discuss some strategies for getting users to engage with your Digital Asset Management or Brand Asset Management portal so they can become evangelists for your brand. A feature article by Ralph Windsor that first appeared on DAM Coalition about activities to carry out before a DAM implementation is commenced. Ralph Windsor discusses how interoperability and specialisation by vendors could be applied to resolve usability conflicts between different types of DAM users. 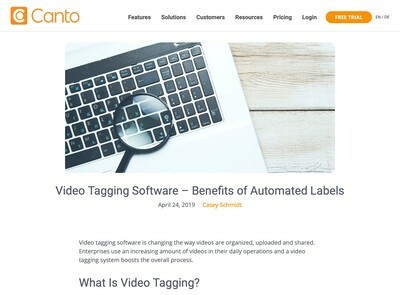 Remko Noteboo, Co-Founder and CTO, Southpaw Technology considers the ‘industrialisation’ of Digital Asset Management and the potential for streamlining content production processes. David Diamond discusses what is required for managers to circumnavigate potential DAM implementation pitfalls so they can becomes DAM Superheroes for their organisation. Ralph Windsor discusses various user feedback, auditing and review methods to improve the ROI obtained from your DAM systems and satisfy the needs of your users more effectively. Ralph Windsor interviews David Diamond about the DAM Guru Program. Ralph Windsor summarises some advice for enhancing the findability of your assets. DAM News editors, Naresh Sarwan and Ralph Windsor offer managers a guidance document with best practice principles for DAM system procurement. Ralph Windsor discusses DAM and Collections Management projects for museums and cultural or heritage organisations. 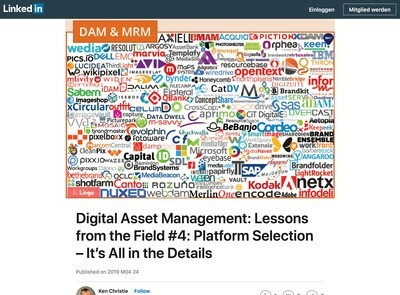 Naresh Sarwan and Ralph Windsor examine the Digital Asset Management Value Chain concept and what it may for the future of DAM. Ralph Windsor discusses Big Data and how to assimilate it into your Digital Asset Management strategy. Naresh Sarwan and Ralph Windsor present this 13 page whitepaper with a selection of advice, strategies, techniques and recommendations for anyone considering using DAM for revenue generation initiatives (with specific reference to selling media assets such as images or video). David Diamond, author of the DAM Survival Guide and Marketing Director of Picturepark considers whether DRM is a self-defeating concept which DAM vendors are aggravating the worst effects of partly because of a lack of interoperability between competing solutions. Ralph Windsor considers the changing role of the proxy file in DAM solutions. We consider the state of DAM technology in 2012. This is the second part of our feature article about DAM in 2012. We offer some predictions for how the DAM industry will develop in 2012. This is part one of a two part article. Ralph Windsor discusses some myths about open source software. Our predictions for the technological developments that will affect DAM in 2011. We outline our predictions for the DAM industry in 2011. An article by Ralph Windsor which originally appeared on the Daydream website about managing risks with Cloud DAM. A about the complexity of deploying DAM solutions into enterprise IT environments which originally appeared on the Daydream website. A post about open source software by Ralph Windsor originally appearing on the Daydream website.